A new year on the calendar brings us closer to the start of another season, so it's time to check out what 2017 might have in store. Will the Cubs repeat? 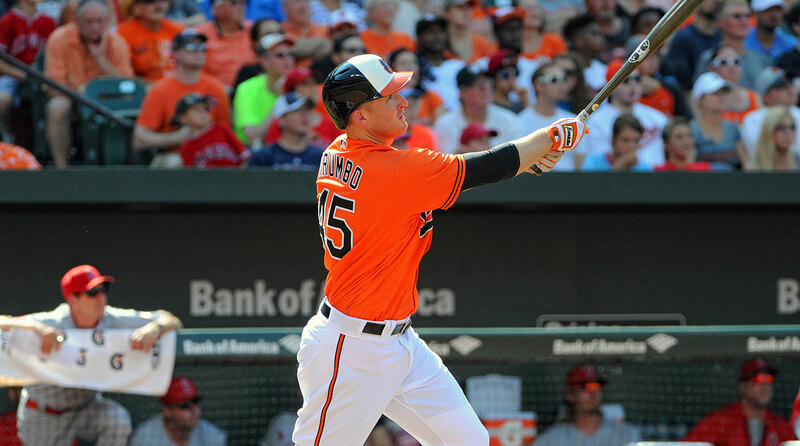 Will slumping stars rebound? And who will be elected to the Hall of Fame? 1. Can the Cubs win the World Series? The answers to 1 and 3 were overwhelmingly affirmative. 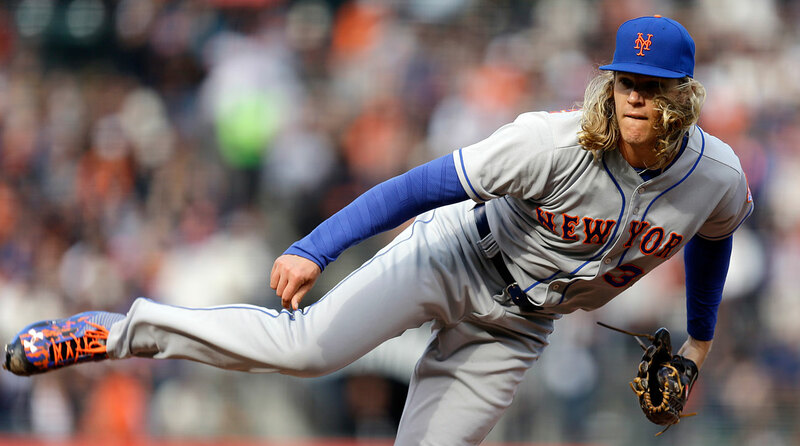 In addressing 2, I compared the 2016 Mets’ pitchers to the 2004 Marlins’ pitchers—a young group that broke down and fizzled the year after a World Series push. This year, with the Hall of Fame election results coming this month and meaningful games in March because of the World Baseball Classic, I figured, why wait until Opening Day? Now that the calendar has flipped, it’s time to turn to the biggest questions of 2017 as the new year begins. 2. What can prevent the Cubs from winning the World Series again? It’s silly to ask if the Cubs can repeat as World Series champions. Last year, Chicago became the first team to start five or more players under age 25 in four World Series games, including a record six in Game 2. All are back except 24-year-old outfielder Jorge Soler, who was traded to Kansas City in exchange for one of the best closers in baseball, Wade Davis. The Cubs also ranked second in the league in runs last year without slugger Kyle Schwarber, who returned from his torn ACL in time for the World Series. This is still the best team in baseball. The key for the Cubs will be maintaining their extraordinary run prevention infrastructure that’s now been in place for two years. No team has been better at marrying scouting and quantitative analysis when it comes to preventing runs. But the backbone of the system is reliable starting pitching. In 2016, Chicago became the first team since the 2012 and '13 Reds to post two straight seasons with four pitchers making at least 30 starts each. Now the Cubs will have to defy the age and workload curve after two postseason runs. 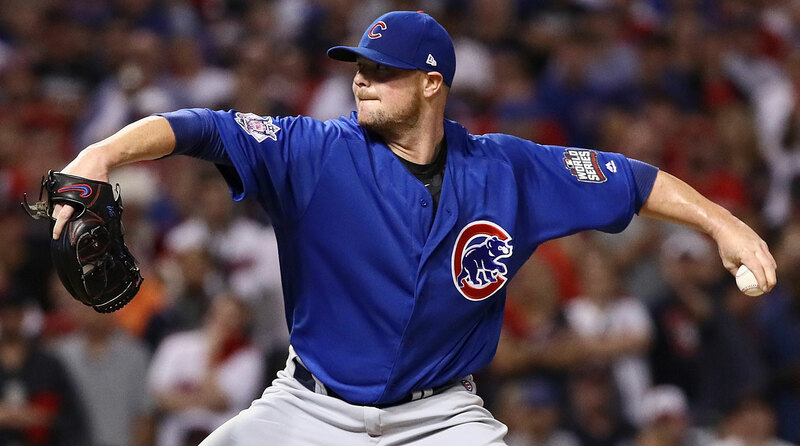 Jon Lester, who will be 33 this year, and Jake Arrieta, who will be 31, have each made 71 starts the past two years, postseason included, and combined for 925 1/3 innings. 3. What will be done about how baseball is played? Enough talk. 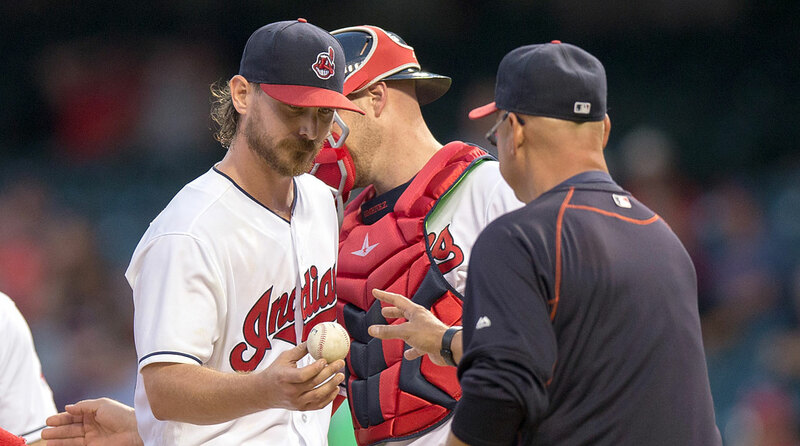 Commissioner Rob Manfred and MLBPA executive director Tony Clark just went through months of negotiating a collective bargaining agreement and talked about putting chefs in every clubhouse, but they did nothing about modernizing the game. This “talking phase” has been going on for years. As games become more bloated with dead time—unlimited timeouts, conferences on the mound, pitching changes, pitchers and hitters dallying, expanded September rosters, etc.—a younger generation with more entertainment options doesn’t connect with baseball on the same emotional, love-it-no-matter-what level. Giving people less action (with the ball or people in motion) spread over more time is a business plan nobody in entertainment would even think about executing in today’s world, but that’s what baseball is proffering. 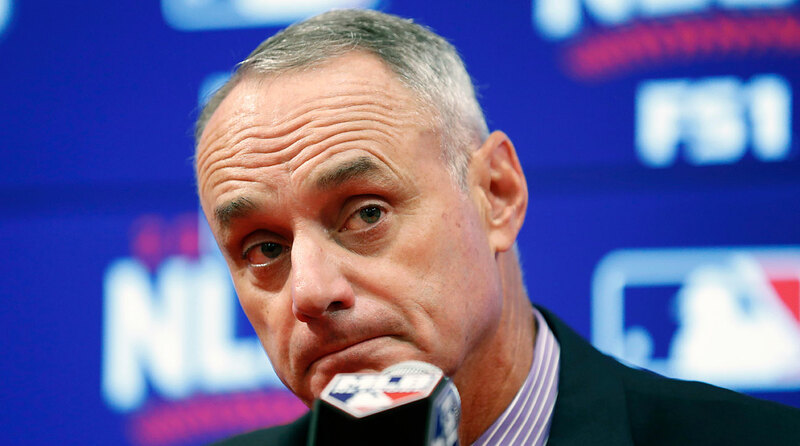 After the CBA agreement was reached right before the Dec. 1 deadline, Manfred said MLB could reach side agreements with the players on issues related to pace of action, September roster size and a potential pitch clock. We’re waiting. 5. Which of these stars will have the biggest bounceback season? Entering a series in Milwaukee from June 24 to 26, Harper was having the kind of season (.884 OPS) that resembled his career norm (.883). Then he hurt his upper right shoulder, near the neck area, diving headfirst into a base. His OPS after that series dropped to .760, and he hit just .238, playing an extremely shallow rightfield to compensate for diminished arm strength. 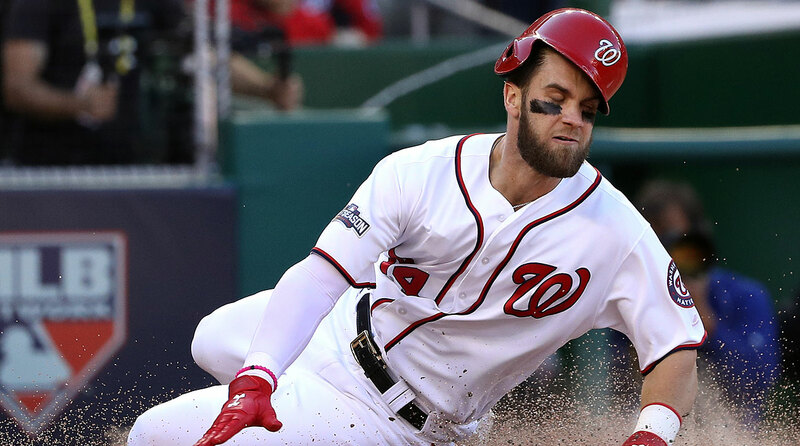 Harper missed only 12 games playing through Washington’s final 86 games, and he never acknowledged being physically compromised. Harper’s biggest flaw was that he could not hit velocity at the belt and above, and opposing teams kept pounding at that weakness. Harper hit .178 on four-seam fastballs at the belt and above. The previous year he hit .371 off those same pitches. Something was clearly wrong. I can’t say I was surprised that Heyward hit .230/.306/.325 after signing a $184 million contract with Chicago before last season. At the 2015 winter meetings, when Heyward was on the free-agent market, I polled managers and executives about Heyward. It was alarming how many of them told me that thee was a chance he simply would not hit well because of his poor swing mechanics. That’s exactly what happened. His awkward re-gripping of the bat—which takes away the looseness of his wrists—the slow path to the ball, the locked front side, the spinning off his front heel ... his swing prevents him from getting to any velocity middle in. The Cubs decided to leave Heyward alone in spring training last year rather than overhaul the swing of somebody new to the team. All bets are off now. Hitting coach John Mallee is working with Heyward this winter to keep his hands lower, ditch the re-gripping and create a shorter path to the ball. Heyward is only 27 years old. He was so bad last season that it shouldn’t be hard to improve. It’s hard to recall a great player who fell so far so fast without a significant injury. (McCutchen did play through a mid-season thumb injury, but that was well after he was deep into his down year.) The most stunning part was not that McCutchen hit like someone who hadn't finished in the top five in the NL MVP voting four years running—off years happen—but that his defense and base running were abysmal. The Pirates’ experiment to have McCutchen play a shallower centerfield was a disaster. And I don’t know how you explain his lack of aggressiveness on the bases. From 2009 to '14, McCutchen advanced from first to third on 31% of singles. Over the past two years, that percentage dropped to 14%—below the first-to-third rate of Cardinals catcher Yadier Molina (16%). It’s possible that either McCutchen, 30, is aging quickly, or that he simply had 3 1/2 bad months and already is on the way back. After all, after the middle of August, McCutchen’s numbers (.297/.368/.492) were back to tracking along his career numbers (.292/.381/.487). This year he’ll have one more battle on his hands: playing with trade rumors hanging over his head all season. This is a bit of a trick choice: Puig never has put up star numbers over a full season and is more likely to continue along his same career path, which is not bad. The mythology of Puig derives from his first month in the big leagues, when opponents had no information about how to pitch to him. Puig hit .407 in his first 34 games. 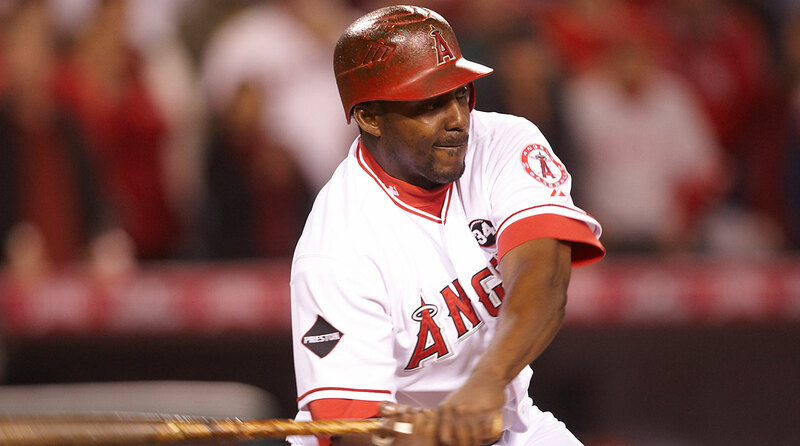 He is a .276 hitter since. Last year he found himself on the trading block and in the minors, a demotion from which he recovered nicely after his promotion, batting .281 with a .900 OPS in the final month of the season. Puig is 26 and has 1,751 career plate appearances under his belt. He’s still learning, though, about how to play baseball and how to take a professional approach over the six-month grind of the season. There’s been very little growth in his game so far, so he’s more likely to remain the same kind of player than he is to have a breakout season. 7. Who is the next great shortstop? Until last season, there had never been a season in which more than two shortstops no older than 23 hit 15 home runs. Suddenly there were six of them: the Red Sox' Xander Bogaerts, the Astros' Carlos Correa, the Indians' Francisco Lindor, the Cubs' Addison Russell, the Dodgers' Corey Seager and the Rockies' Trevor Story. The next wave is right behind this one. Dansby Swanson of the Braves, J.P. Crawford of the Phillies, Amed Rosario of the Mets and Franklin Barreto of the Athletics could make an impact this year, with Yankees prospect Gleyber Torres not far behind them. 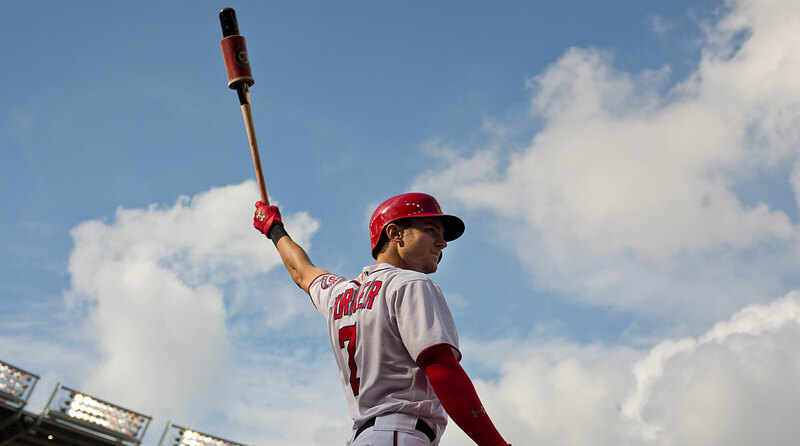 But the best answer to the question is Trea Turner, who moves back to his natural position at short after hitting 13 homers and stealing 33 bases in half a season playing centerfield for the Nationals. 10. Will America care about the World Baseball Classic? Hey, it’s better than spring training. I know, that’s hardly an ideal marketing slogan, but it’s fun to watch some of the biggest stars in the game, right next to many you’ve never heard of, playing with pride and passion in March, when games otherwise are meaningless scrimmages. The tournament does a good job selling the game internationally, though Americans have been blasé about it because they are so tribal when it comes to following their favorite major league team. The tournament really needs the the U.S. team to advance to the finals, which it has never done in any of the first three versions of the tournament. In fact, Team USA's highest finish is fourth, and its overall record is .500. 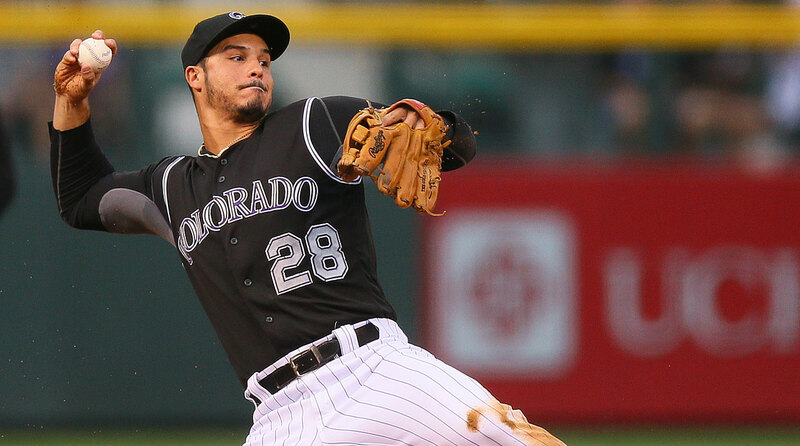 The Americans will reportedly field another strong team, as Rockies third baseman Nolan Arenado, Diamondbacks first baseman Paul Goldschmidt and Nationals pitcher Max Scherzer are among those expected to participate.